What a great time! 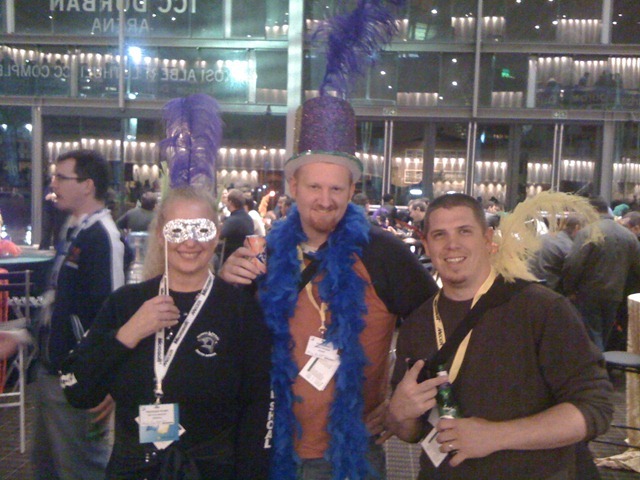 TechEd Africa was a blast this year. The OFC track went extremely well with experts from all over the world and local of course coming in to share their knowledge with the good people in South Africa. 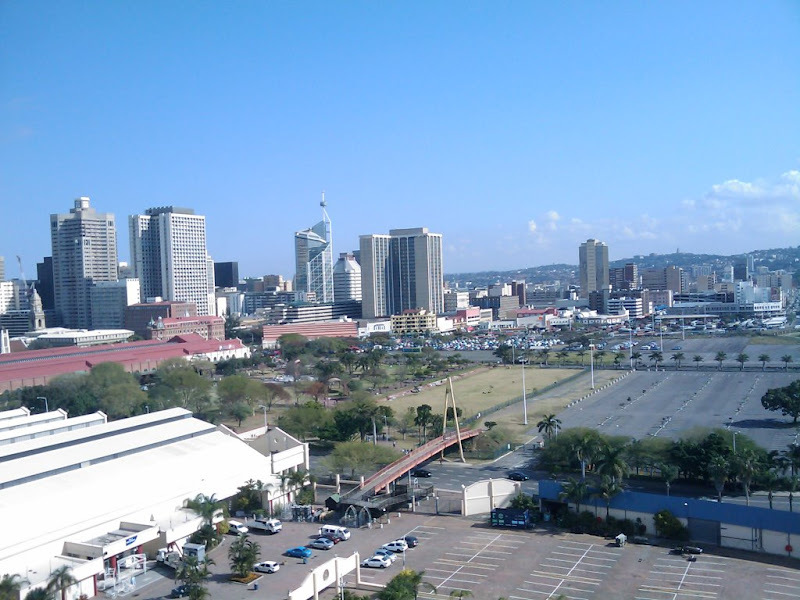 The venue was at the ICC in Durban. The city was really cool, lot of character, and the sea world style water park/restaurant and bar scene was pretty wild, nothing like eating some wild seafood while a shark swims by you. After a long drive Joel Oleson and I finally got into I got into our Hotel. He was told to proceed to the executive level on the 14th floor, to check in right away. I was in turn told to proceed to the basement (literally) and wait to check in until they cleaned up the rooms. Mind you, it was 7:30 pm. Granted I don’t really complain much but I figure a Hilton no less would have rooms ready for someone traveling as far as we did and arriving so late in the day. Oh well despite that initial snafu, the stay was great. Clean room, fluffy pillows and a clean bed, other than an on time check in, you can’t ask for much more can you? We made our way over to the Sunday night welcome party. Wow, walking in the door right away I was taken back. Tons of people, the bar was flowing, people were dancing laughing and having a great time. The first words out of my mouth were “Man, these South African’s know how to party”. I was pretty beat and through the kindness of everyone purchasing me drinks, it was probably a good idea to go back to my room at that point, do some final prep work and get some sleep as I was pretty jet lagged still. Monday came around, and I made my way to the speaker lounge where we did some last preparations, met a lot of the days speakers and shared some stories. Zlatan Dzinic was in his typical form and I was feeding off his excitement. I’m just not a morning person and with it being around 2am my time, I was struggling a good deal. I got to my first session and began to give my presentation. I won’t lie, I felt flat. I’m not sure if it was the nerve’s the jet lag or what but I didn’t feel like I had my usual excitement or vibe. The session scored really well and with some good tips from some very knowledgeable people and decided for my next session I would certainly crank it up a notch or two. My next three sessions, I felt I knocked out of the park. I averaged above a 4.15 for all of them and I was overall really happy with what I talked about. You can find my session recaps here. I even recorded a couple on my own. I have to talk to some folks to see if that content can be published or not since it was a paid conference. Overall it was the people that I met, some for the first time, some it was getting to see old faces again. And interestingly, it was others where I found myself putting Twitter avatars to real faces. I will say that Michael O’Donovan and Amory did a freaking outstanding job. Just rolling off of putting together SharePoint Saturday Baltimore (with many other volunteers), I can’t imagine the amount of work that went into putting this one together. I do have one regret however; I never got a good photo of myself behind the TechEd podium. I know Veronique Palmer grabbed a shot with her Iphone however. If anyone did get a shot please send it to me. Africa treated its International speakers extremely well. Scratch that, Africa treated ALL the speakers extremely well. Forget the honor and privilege it is to even speak at TechEd, it was like you were just part of the extended family and you were coming home for a family reunion or something. I sat in on as many sessions as I could squeeze in and still feel comfortable with timing on my own sessions. 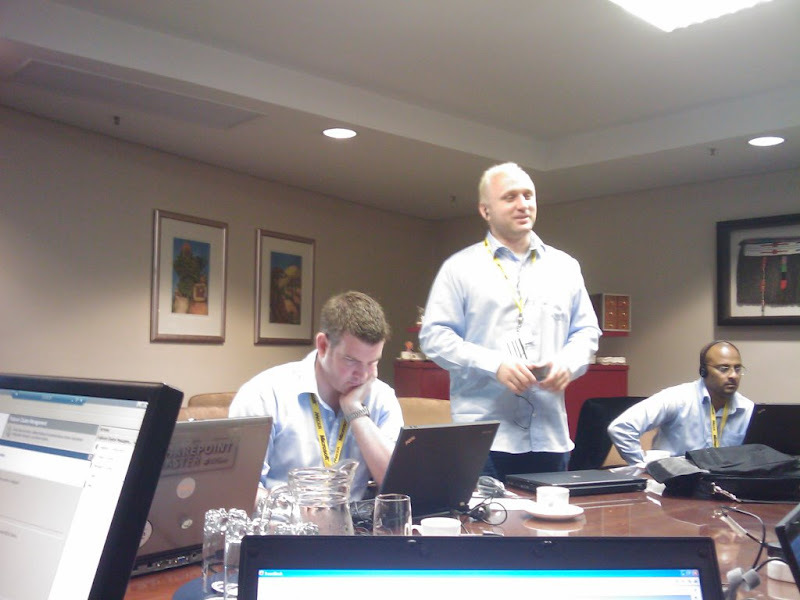 I got to sit in on some PowerShell presentations, exchange and SQL sessions. I REALLY enjoyed the level of technical information given in the sessions slated as technical and the high level approach for sessions labeled as 200 for example. Everyone were pro’s they knew exactly how to say it and what to say. 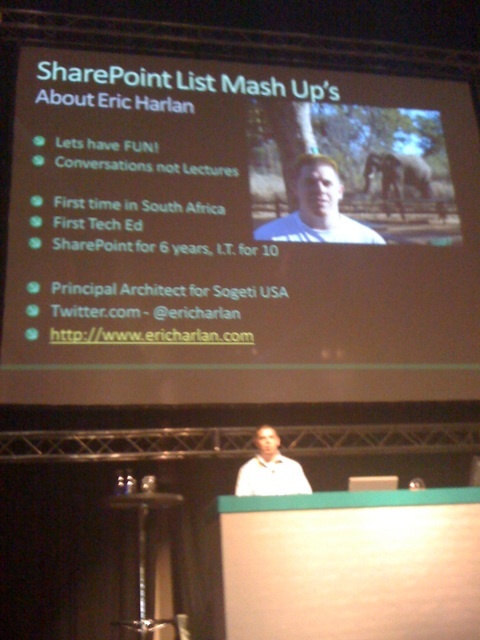 I would love to go back to Africa regardless to speak at TechEd again or not. My expectations were blown clear out of the water and it was nothing like I expected. I’m ashamed to even repeat what my expectations were but regardless I was blown away both by the breath of the event and the shear professionalism of how it all came together, with of course an extensive mixture of fun thrown in there! And with fun usually it involves Guitar Hero and Xbox! Lastly, if im honest I couldn’t have done this with out the support of Sogeti Baltimore. My GVP was beyond helpful, he’ll never admit it but I couldn’t have done it with out his blessing. For that I’m eternally grateful.